These Pearl Primero Signature Richie Flores Bongos deliver a warm classic sound and a great look with the Tiburon Blue high gloss lacquer finish. Pearl uses chrome hardware and Elite Series natural skin heads to create a playable and durable instrument. 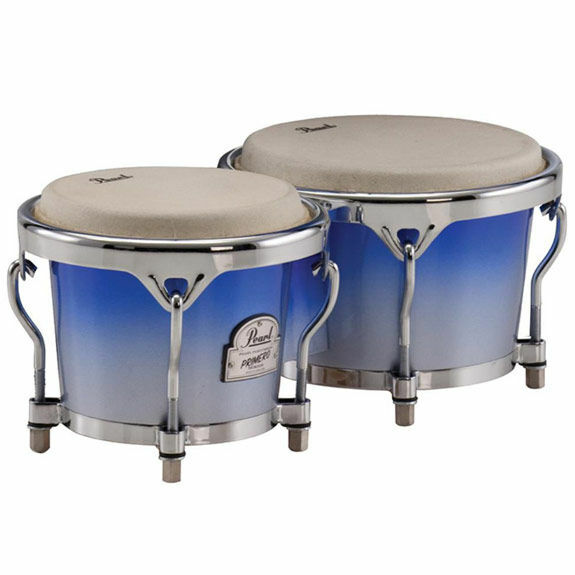 Elite Series Natural Hide Heads 7" & 8.5"